Be a part of the exciting new Arctic Circle Initiative relating to ethical and sustainable use of enivronmental resources, North Atlantic trade, technology, culture and education. 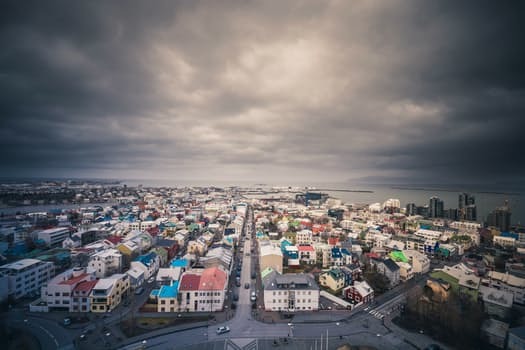 On this travel program you will work directly with Reykjavik University students and faculty to collaborate and build international contacts that may be valuable for your professional development. Additionally, you will have a chance to bring your own professional development interests and topics to the course, which will actually be integrated into the programming! -Students personal and professional interests (as described in the application essays) will be used to tailor course content. Emergent interest clusters (environment, economics, engineering, education, etc.) will be used to design key discussion topics. -Prerequisite requirements: LAC 370 (Toward a Global Ethics) or an equivalent course or experience. Upon completion of LAC 370 and this course, students will have completed half of the new Regulatory Ethics Certificate. -Students will participate in an 'Ethics Lab' with Reykjavik University. Students from both universities will be grouped into cross-cultural teams tasked with analyzing one or more ethical scenarios and making decisions/recommendations based on in-depth group discussion. Similarities and differences in approach will be highlighted. -Additional planned activities, designed to integrate with daily discussion about ethics and culture will include: an introductory lesson in the Icelandic language, walking tours of downtown Reykjavik, visits to various cultural museums, exploration of Iceland's amazing geographical features like Thingvellir National Park, the famous 'Geysir', and Gullfoss Waterfall, tour of the Nesjaviller geothermal power plant. This program is supported by an MEIF grant that will cover the cost of a Golden Circle tour and glacier walk for each student (around a $400 value.) The subsidized program fee remaining is then estimated to be around $1,990 + international airfare. Tuition is also an additional expense. The program fee covers: accommodation, in country transportation, cultural and academic activites, some meals, and international insurance. Tuition, international airfare, some meals, and spending money are additional expenses. All participants on USM travel programs receive the in-state tuition rate regardless of residency. A letter of recommendation from a faculty member or supervisor who can comment on academic ability and readiness for international travel. Incomplete applications will not be considered. Submission of this application does not constitute acceptance into the program. You will be notified about the status of your application within 2 weeks of the deadline date. Once accepted, you will be automatically registered for the course, and corresponding charges will appear on your student bill. If your application is not accepted, or if USM cancels the program for low enrollment, the non‑refundable deposit will be returned to you.